Abortion is nothing to be ashamed of. We believe all persons have the right to bodily autonomy and moral agency. We believe all persons have the right to choose to follow any religion or no religion. We believe all persons have right to receive medical care. We believe New Zealand’s current legal framework around abortion violates the human rights of people seeking abortion. We believe New Zealand’s current legal framework around abortion makes a mockery of the Rule of Law. We want the New Zealand government to commit to the process of law reform to bring the legal framework for abortion into compliance with New Zealand’s obligations under the Convention to Eliminate Discrim ination Against Women. 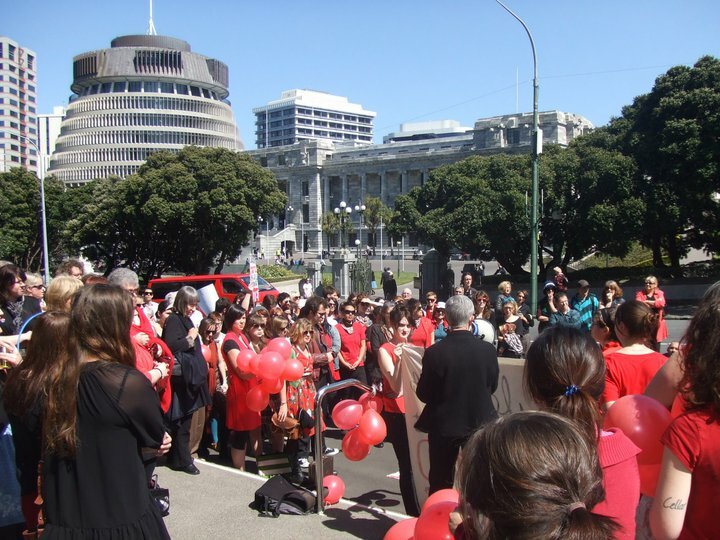 We want New Zealand to model its abortion laws on those of Canada. We want to end the special treatment afforded those who harass patients accessing abortion in clinics and hospitals, actions that would not be tolerated if visited upon any other group of patients. We want every person in New Zealand to have an equal opportunity to access without cost any reproductive healthcare they choose, be it contraception, abortion, sterilisation, or prenatal care, without the approval of any doctor but their own, if needed. We want the law to require health care providers who refuse care on the basis of their own ‘conscience’ to compensate the patients whom their ‘conscience’ has harmed by wasting their time, energy, and money.